Alhamdulillah, masajid and Islamic schools are expected to be perpetual. Unfortunately, many Islamic centers founded in the 19th and early 20th Century were lost. To prevent this in the future, a national Waqf organization, the North American Islamic Trust, Inc. (NAIT) was founded in 1973 by the Muslim Students’ Association of the United States and Canada (MSA). NAIT maintains its foundational supporting relationship with MSA and the Islamic Society of North America (ISNA). 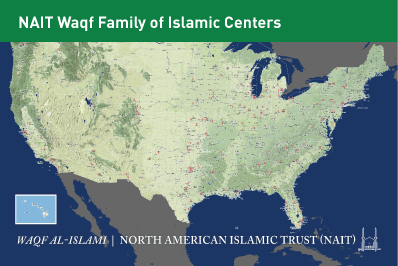 As a Waqf, NAIT holds titles to the real estate assets of Islamic centers and schools in more than forty States. 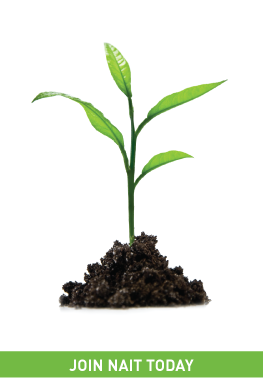 Properties held as Waqf are operated primarily for the purpose of religious worship. In addition to its Waqf role, NAIT pools the American Muslim community’s assets under its Islamic Centers Cooperative Fund, and publishes credible Islamic literature under its American Trust Publications. Through a wholly-owned for-profit subsidiary, NAIT develops financial vehicles that are compatible with both the Shari’ah (Islamic law) and the American law, e.g. mutual funds.